Ne Tirez Pas Sur Le Messager ...: Un visuel pour City of Thieves! Un visuel pour City of Thieves! 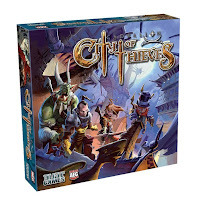 City of Thieves le nouveau Dust Games & Hazgaard Edition. Ce jeu sera disponible en 2010.